Gate 8 – Known as the “Main” entrance, the Gate 8 is located right off of Valley Ave, cross street of Bernal Ave.
Gate 12 – the Gate 12 is located right off of Valley Ave. 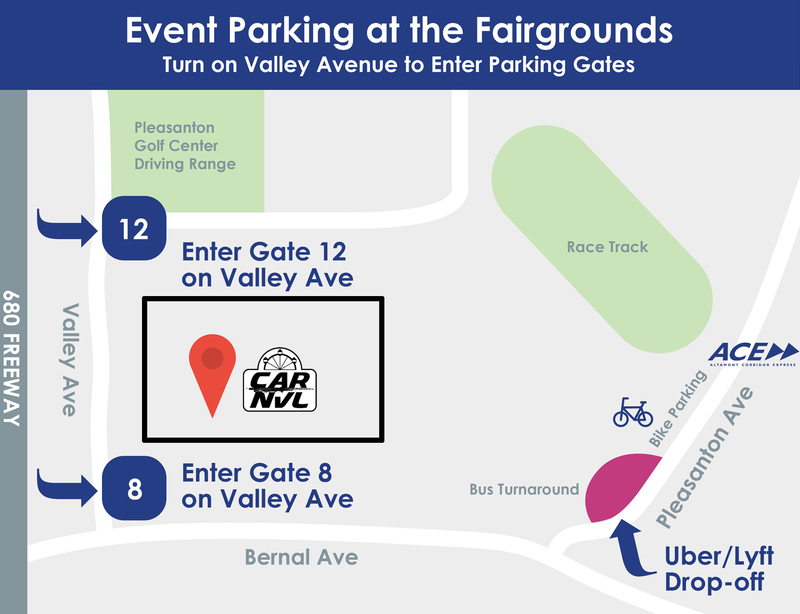 The Pleasanton ACE train station is directly across the street from the Yellow entrance Gate.A convenient and easy way to get to CARnVL! Drop off and Pick up are at the Pleasanton Avenue Bus Turn Around.